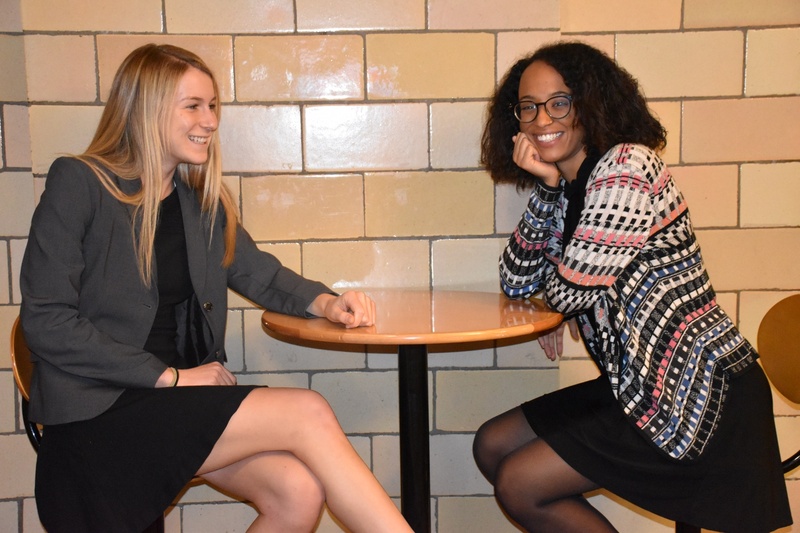 Anna L. Duffy '21 is the next president of the IOP and Maya Jenkins '21 is the next Vice President of the IOP. The undergraduate members of the Institute of Politics recently elected its first all-female executive board in more than a decade. Anna L. Duffy ’21 and Maya Jenkins ’21 won their uncontested race for president and vice president, respectively, while Olivia M. Ferdinand ’21 was elected treasurer and Grace K. Bannister ’21 won the election for communications director. We are glad to see the diversity that this new executive board represents, as the current IOP executive board is poised to represent female voices on our campus. Still, for true diversity to reach the IOP, institutional channels must change so the presence of members of historically underrepresented groups in leadership is not an anomaly, but a norm. Institutions — particularly academic ones — tend to uphold short-lived examples of diversity while not altering the processes that have historically blocked women and minorities from holding leadership positions. We hope that students, particularly those on this campus and in the IOP, change their organizations such that increased diversity in leadership no longer makes headlines. The problem of diversity within the IOP specifically has been longstanding; the one once-in-a-decade election of an all-female board does not change this fact. That being said, Duffy has stated that the new executives will conduct outreach to on-campus groups to promote diversity within the IOP. We hope the new executive board follows through on this promise, in addition to taking other concrete steps to promote greater representation within the IOP. Still, change can only occur if those in power are determined to make it. While the symbolism of an all-female executive board is significant, we are concerned the day-to-day operations of the IOP may not significantly alter to welcome members of more diverse backgrounds and identities — and concrete change surely requires more than symbolism. Student leaders at the IOP should take initiative to make their organization a more supportive place for students from historically underrepresented groups in particular. One of the more promising features of this new executive board is its commitment to, as Ferdinand said, “strengthen pathways to careers in public service.” As we have previously opined, public service has been largely overlooked at the College over the years. Even University President Lawrence S. Bacow has recognized the need for more resources for students seeking public service careers by promising to fund public service internships for every undergraduate interested in such a position. We commend the IOP’s new executive board for taking steps to improve the accessibility and feasibility of public service to students. We congratulate the IOP on its all-female leadership and await the plans that the new executives have in store for the organization. And we hope that one day, we will no longer need to call such an election newsworthy. We hope that one day, greater representation will simply be the status quo.